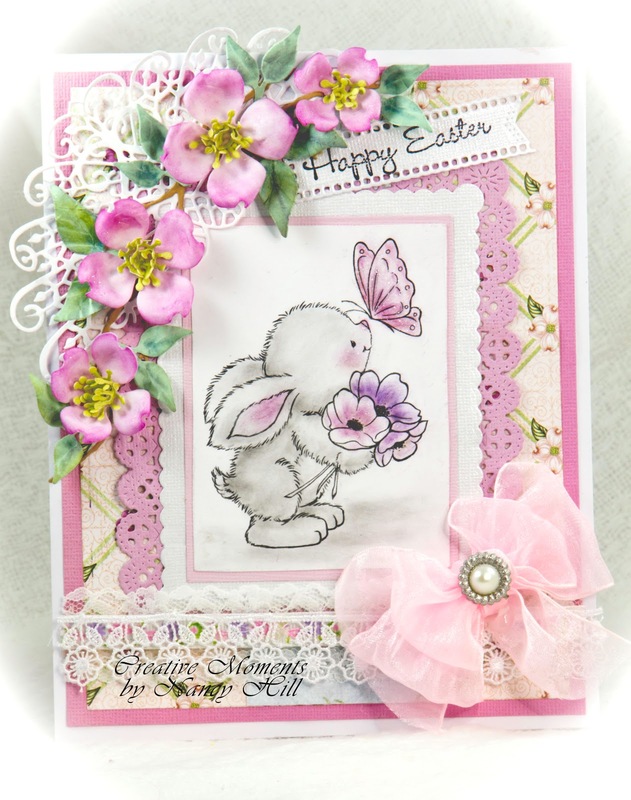 I couldn't wait to share with you another card made with the Wild Rose Studio Bunny and Butterfly stamp. 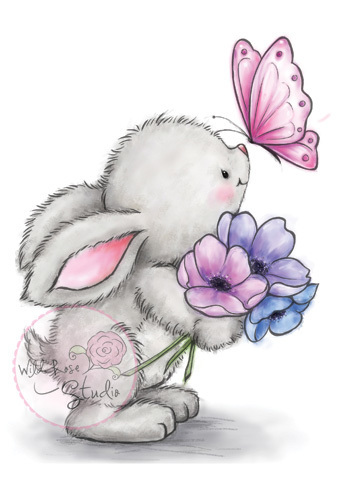 This very adorable bunny and butterfly can be stamped on many occasion cards like birthdays, thinking of you, get well soon, etc. I just love the little smile on this bunny. Makes me think of our own bunnies running wild around our farm. 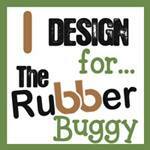 Also, be sure to check out the new Wild Rose Studio stamps, paper and dies that are coming in very soon for The Rubber Buggy on-line store. 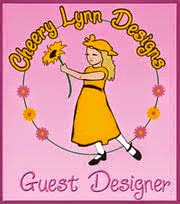 Select "What's New" on the left side and you will fall in love with all of the new Wild Rose Studio stamps. 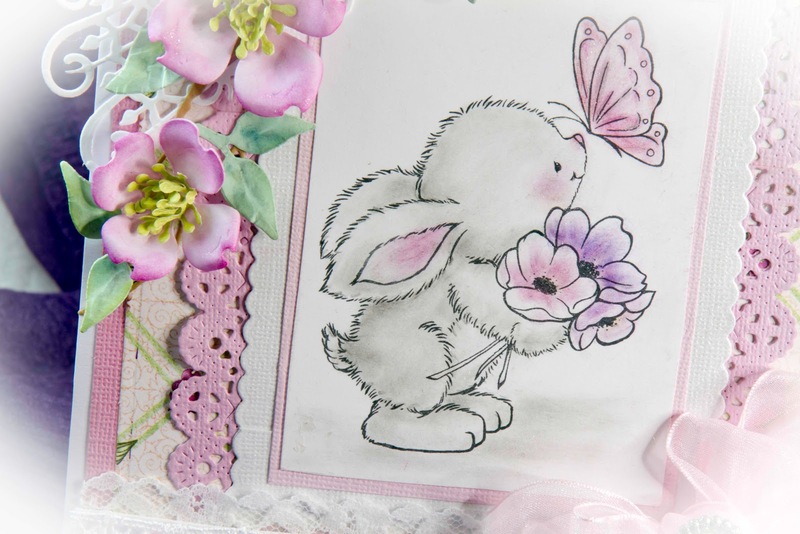 I stamped it with Memento Tuxedo Black ink and colored this with Pan Pastels and Copic Markers. 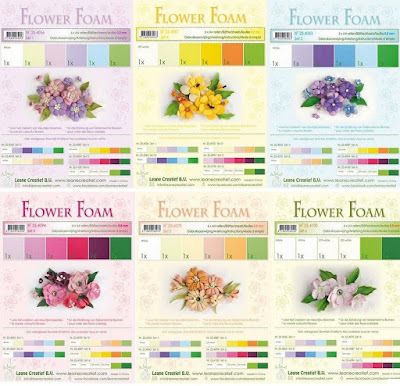 handmade my flowers using the Heartfelt Creations Dogwood Flower die set with foamiran foam. 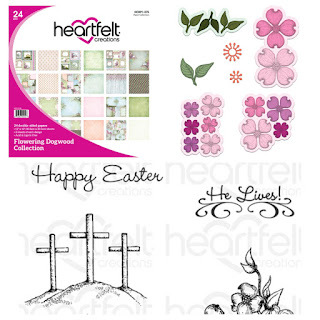 The background paper is the Heartfelt Creations Flowering Dogwood paper and the sentiment, "Happy Easter" is in the Heartfelt Creations Dogwood Chapel stamp set. 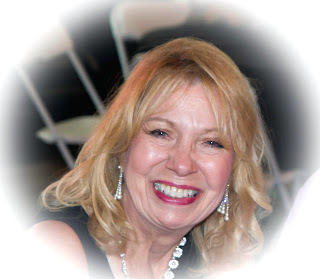 The gorgeous lace is found under Venise Lace in The Rubber Buggy lace section. 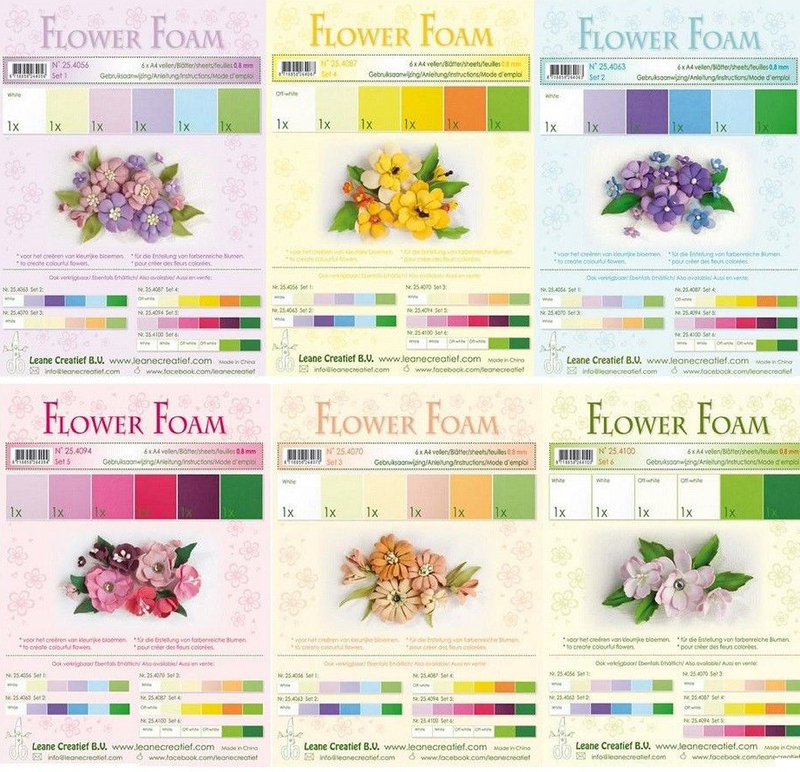 The Rubber Buggy is taking pre-orders for the LeCrea Design Foam Flower sheets and it comes in many colors to make your foamiran flowers. So I hope I have inspired you to make a card with the adorable Wild Rose Studio Bunny and Butterfly stamp along with the gorgeous Heartfelt Creations Flowering Dogwood paper, dies and stamp sets. You can purchase these dies and supplies from The Rubber Buggy on-line store.